Today in History–April 21–the Library of Congress features southern politician Robert M.T. Hunter, born on this date in 1809. Hunter represented his home state of Virginia in the U.S. House of Representatives. He was the youngest Speaker of the House, serving from 1839 to 1841. 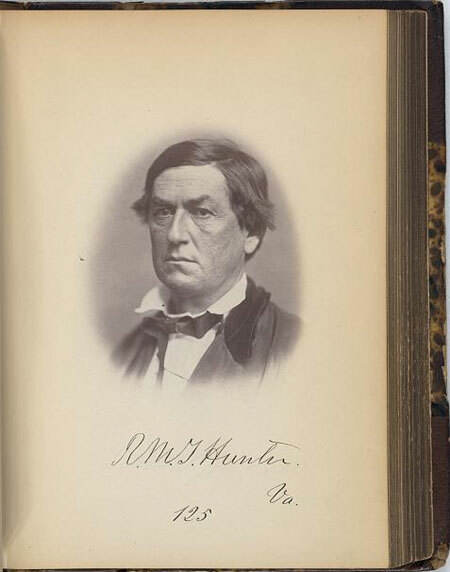 From 1847 to 1861 Hunter served in the U.S. Senate. During the Civil War, he served as Confederate Secretary of State and in the Confederate Senate. Find out more by visiting the Today in History section, then follow the links below to access related resources.